Finally, Devil in the Clouds is live! It's done, it's finally done! 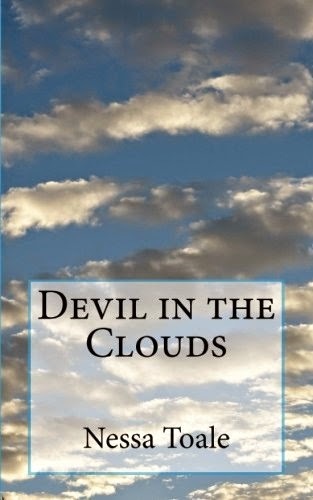 Devil in the Clouds is available on Amazon. It was an exciting weekend to get this up and running. It is off to a good start too! So, go join the queue for a great summer read. Obviously, I want to see a lot more, but, with Beth, I have to divide my time between what's fun for her and what suits me. Vantastival is so handy as we live very close by. Only ten or fifteen minutes drive. So, we will camp out Friday and Saturday night. Then, I'll drop Beth with my Mum for a sleepover on the Sunday and come back out to Delorentos. Everybody is happy! Can't wait!